Lifelike "humanoid" robots are around 75 percent cheaper than they were five years ago, as technology has improved, making the price of such machines similar to that of a luxury sports car at around £55,000 ($92,997), according to a university robot expert. 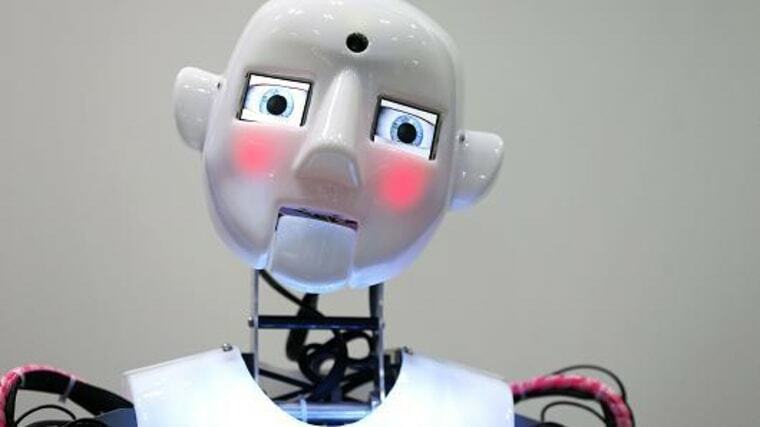 Nigel Crook, head of computing and communication technologies at Oxford Brookes University, who specializes in human-robot interaction, said the price has fallen significantly as robot technology is becoming more commonplace in public spaces such as schools and hospitals. Crook, who uses a robot named "Artie" as part of his research at the university, said more and more funding from bodies like the European Commission (EC) is being poured into robotics and the incorporation of the technology into household appliances. The EU-funded European Investment Fund, used to back small- and medium-sized enterprises in Europe, announced last month it invested in "Robolution Capital" the first fund aimed to invest chiefly in European companies involved in the service robotics sector. The fund raised 80 million euros from institutional, industrial and private investors. "Artie" is a "RoboThespian" robot, a life-sized humanoid robot that is made in the U.K. by Engineered Arts, designed to communicate and interact with humans. "Robots are coming down in price, "Artie" costs about £50,000. Five years ago it would have cost £200,000 for a robot of this complexity," said Crook. RoboThespian is a third generation robot equipped with a fully articulate upper body, LCD eyes and internal colored lights. "One of the areas that we are working on at Oxford Brookes University (is) to try and improve the natural interaction with robots," said Crook. "One of the projects that we are looking at is surrogates, using robots as surrogates, especially (for) paralyzed people, and using EEG to read brain activity to control a robot remotely and be a presence for that person," Crook told CNBC.